Generally, video editors are used for editing raw footage and handling post-production design in digital formats. Moreover, you can create Hollywood style movies. Along with that, you can create a common video for marketing your product or service. So, recent day’s huge number of online video editor software’s are available in the market for free of cost. If you have money then you can buy it on the market. Otherwise, you can search for free online video editors 2019. Furthermore, you can have different types of free online editor software in the market. 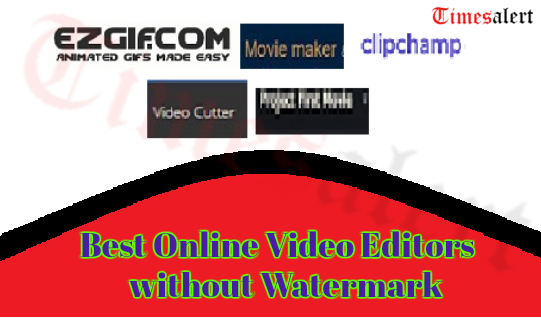 However, here we have rounded up the best online free video editors without watermark. Clipchamp Create – The first online video editing software without watermark. Moreover, you can easily use this online video editor with powerful features. In addition to that, you can use this software without any knowledge of any video editing. Furthermore, with this tool, you can cut large video files into smaller pieces. Along with that, remove unnecessary parts of video clips, rotate and flip videos as you like. As well as other many advanced features are included in this tool like change the aspect ratio and more. It is free with no watermarks. This tool will contain useful video editing features. It works extremely very fast. Video Grabber – All in one web-based online video editing software. It allows you to edit and convert videos, record screen and grab online videos. 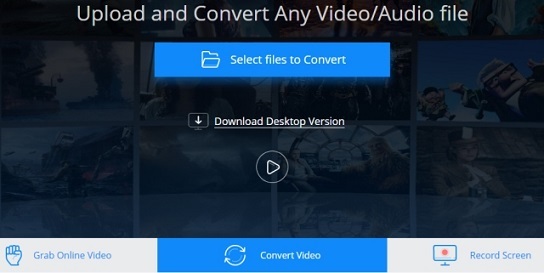 Moreover, you can use it to trim, flip, crop your videos. You can also add watermark. In addition to that, you can adjust volume and play speed, add video effects and more. Furthermore, it provides you the ability to customize video bitrate, frame rate, resolution, sample rate, and audio channels. As well as it is very easy to use and you can output videos in any formats. It offers many kinds of basic video editing functions. Online Video Cutter – A free online video cutter and editor with no watermark. Normally, it will work in your browser. Moreover, you can use this software without installation and sign up. In addition to that, users can use it to cut a small video clip within 50MB and rotate the video by 90 degrees. Along with that, you can crop the video to your desired area. As well as this advanced version of video editor supports many video file formats. Likewise, you are allowed to choose the quality and output video formats also. This is free to use and no installation. The users can add videos from computers or Google drive. You can cut and edit video with just a few clicks. 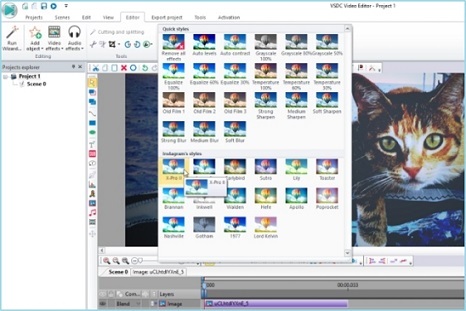 VSDC Free Video Editor – A non-linear tool which is used for editing and creating the videos. You can place objects in any position on the timeline. Also, the users can change the parameters, size of the object and shape as well. When compared to other online video editors, no watermark will be added to your clips. In addition to that, it offers advanced very rich functions and features like audio effects, Instagram-like filters and more. It supports almost all kinds of audio, video, image formats, and more. This software comes with many kinds of professional video editing functions. It is very essential for processing 4K HD Videos. 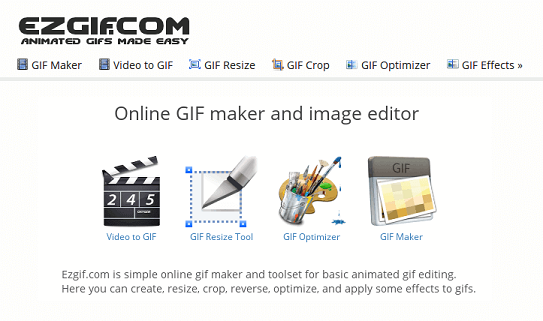 Ezgif – The best program used for crop and editing GIF files. You can use this tool for cutting and editing normal videos. With this video editor software you can trim, rotate, crop, resize, and more. The users can also add subtitles. This is one of the best and popular online video editor without watermark in the market. It supports video formats like MP4, AVI, MOV, 3GP, and more. The users can edit and process the video without quality loss. Users can edit and process the video without quality loss. Almost it supports various input video file formats. 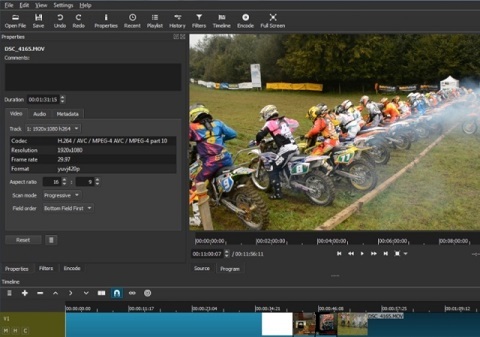 Lightworks V14 – This video editor without watermark gives all the tools for film editors and supports Windows, Linux, and more. This tool is designed for intermediate, but not for advanced people. It allows its users to trim, cut, past, copy, and titles. The users can also add effects to new videos. Furthermore, for the free version of Lightworks V14 offers main, HSV, CURVE color correction, and RGB, etc. 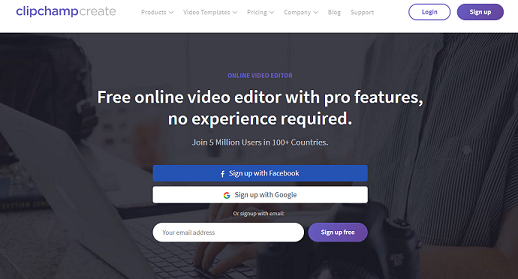 As well as, you can use this video editor for free. It gives easy to easy timeline editing and trimming. This tool includes many kinds of professional video editing functions. A good and perfect tool for YouTube video creators is to share video online. Video Crop – An extremely simple and very useful tool for video cropping. By using this software users can easily cut the unwanted part from the video. Along with that, they can add background effects and zoom in the video and more. Online video cropping is very fast with video cropping feature. Just you need to upload your movie, transform the video according to your need and then you can download the result. Moreover, it offers easy access to other video editing tools online like stabilize and rotate video, and many more. A free online video editor no installation needed. Very easy to operate and crop the video. It offers advanced features for video editing. iMovie – Most popular and free video editor software with no watermark. You can use this tool for iOS and Mac. With this, users can easily create Hollywood-style trailers and latest stunning movies in 4K HD resolution. Moreover, you can choose to start video editing on your Smartphone device and finish editing it on your Personal computer also. But users get difficult color corrections for video clips and limited options for overlapping pictures and backgrounds choice. Almost, it supports editing 4K HD quality films. 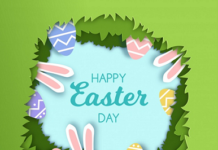 It offers filters, themes, titles, and more. 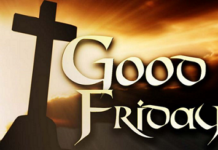 Users can use this tool very easily and quickly. 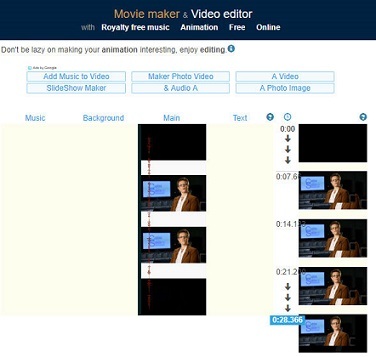 Movie Maker Online – A free video editor without watermark is capable of making HD very advanced animated videos. 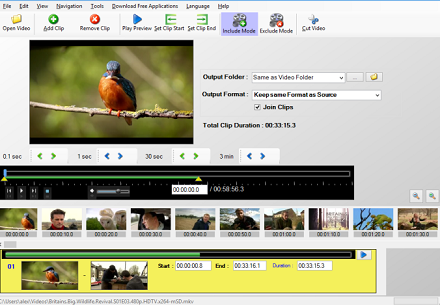 The users can cut, trim the video clips. Also, edit the audio tracks or set the new style of texts. It also offers a filter, crossfade options, transitions, and more. In addition, the tool allows you to add some royalty free music, images, and pictures to your videos. 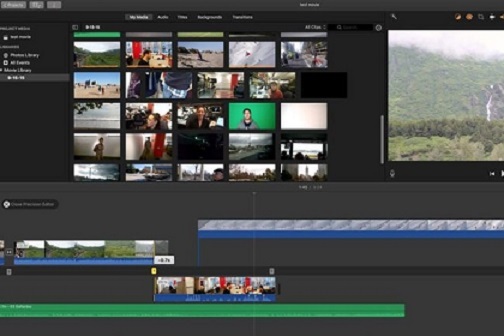 The users can preview their creating videos while editing the video. A free online video maker without watermark. This videos editor tool provides good guidance on the page. It provides fade in fade out functions. Shortcut – A professional online video editor with no watermark which can be used in any operating system. Almost, it has 40 different types of effects including 3D text, colors correction, blurs effect, inverts color, and more. It has faded in fade out options and etc. Moreover, it supports various kinds of formats and 4K HD quality resolution also. But, it is a little difficult for first-time users and very high requirements for the computer system. Avery simple and intuitive user interface. 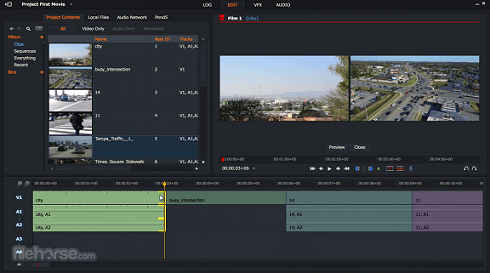 This video editor supports exporting video as all types of formats upto 60fs. 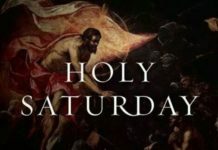 We have finally completed the article. In this article, you can get full detail information regarding online video editors for creating and editing the videos. In the above information, we have included advanced and intermediate video editors for you. So, if you want some more information about the latest updates and applications then you can visit Timesalert.